Check out Tobi's Empress Hoop Earrings One earring to rule them all. The Empress Gold Hoop Earrings will make you feel like royalty. These statement hoop earrings feature a twisted chunky hoop that is all kinds of elegant. Wear your hair up and show these fancy hoops off at date night. One earring to rule them all. The Empress Gold Hoop Earrings will make you feel like royalty. 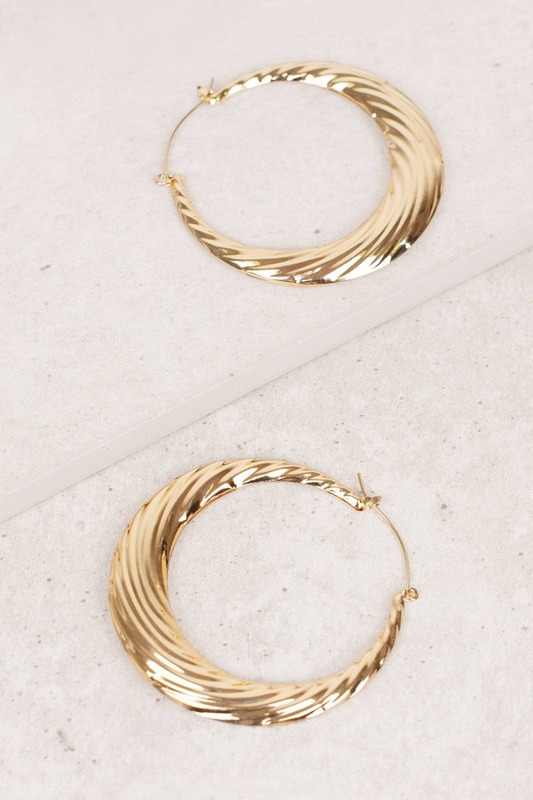 These statement hoop earrings feature a twisted chunky hoop that is all kinds of elegant. Wear your hair up and show these fancy hoops off at date night.